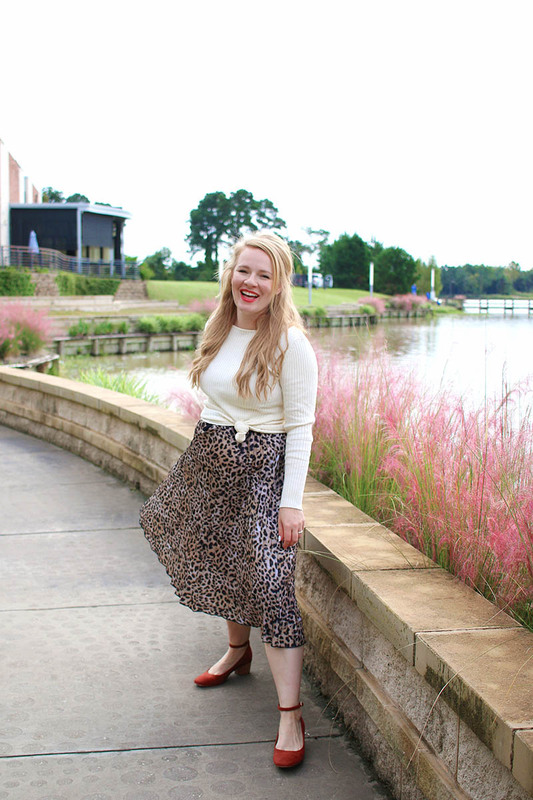 I love the sudden burst of leopard skirts in every fit you can imagine to suit your body. 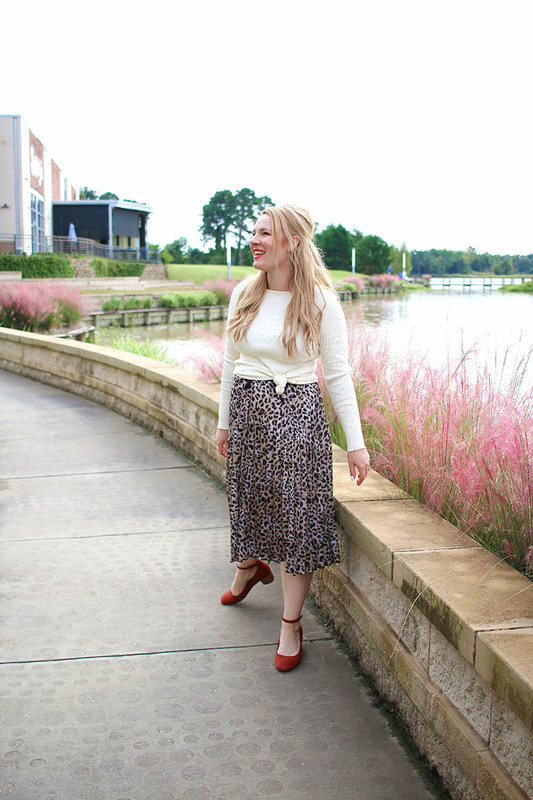 I styled this pleated leopard midi skirt with a simple cream top knotted & a pop of color with my heels. 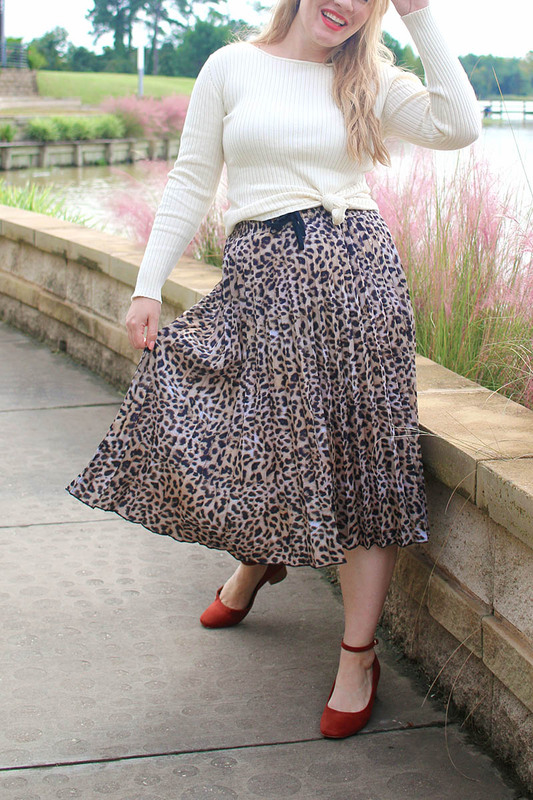 This easy equation can be translated over to most of the styles that leopard skirts are being offered in. 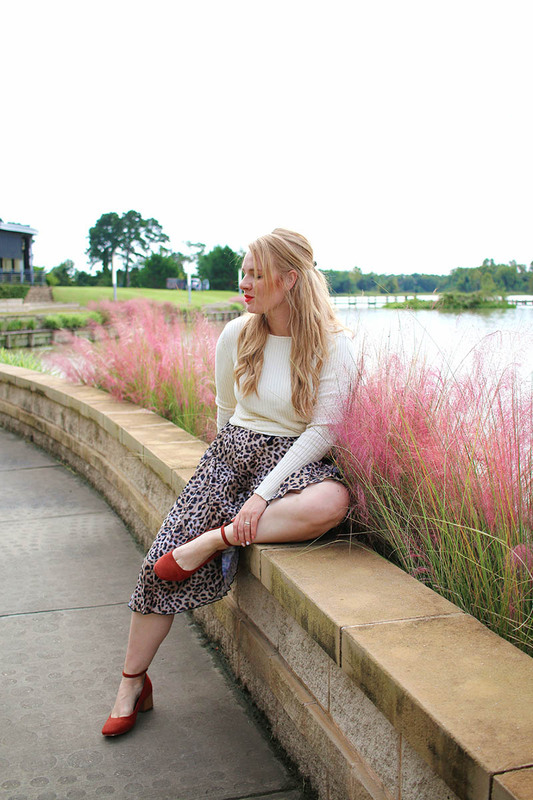 And I’ve linked up some favorites for you.